ClickInc features an intuitive web interface which allows partners with no programming and only basic HTML experience to setup and manage their entire affiliate tracking and lead management system. We continue to add new features and enhancements all the time. 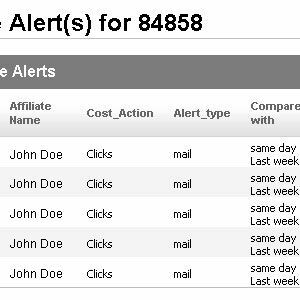 Set your Traffic Alerts and let the system notify you by SMS or Email as soon as an affiliate’s traffic spirals down. 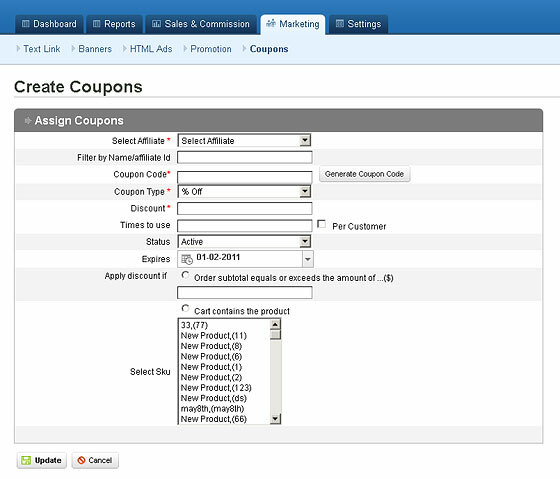 Merchant can create coupons and assign the coupons to Affiliates,so that the Affiliates will give it to the customers .Once the customer used this ,that order will be assigned to the affiliate and the affiliate will get commission for that order. You can create a “Performance Affiliate Group”,here Affiliates will be moved to the Affiliate's group automatically based on the values you are setting. Only the Affiliates will be moved to performance group automatically if they are in general group or already in other performance groups. You can set n-number of tier commissions (50 max). Merchant will be able to email the Affiliates based on the no of Sales/Alerts/Banner Clicks/True Clicks/Text Clicks/Impressions/Commission and Affiliate Group/Active/Inactive/Suspended affiliates. Merchant can set cookie expire days for each affiliate individually or common for all. 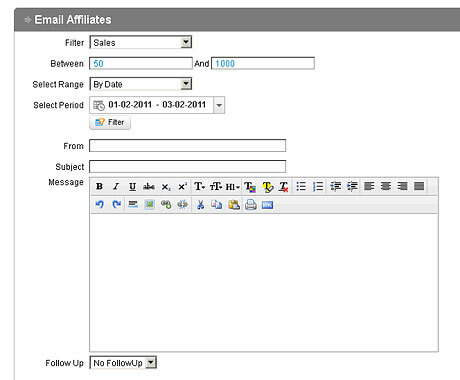 Merchant can configure what the email to be sent to the affiliate during various actions like approve affiliate/Order. WSWYG editors for email/Message affiliates. Follow up on email/message for the merchant. 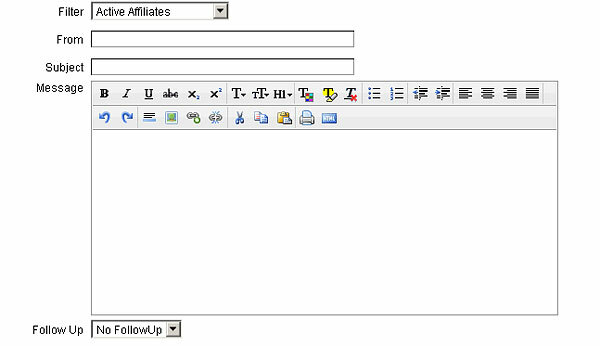 Various options like image/flash banners,textlinks,HTML code, promotions to advertise your product for the affiliates. Merchants and affiliates can exchange messages within clickinc application. 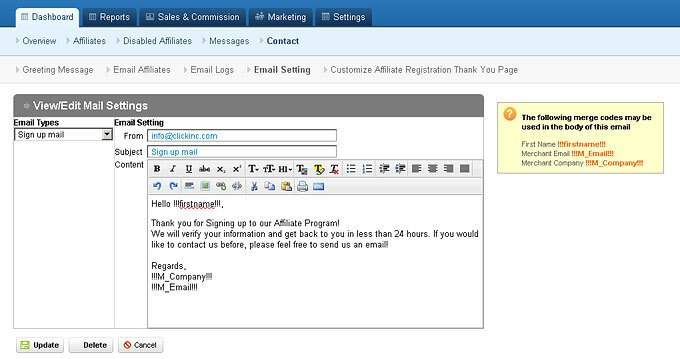 You can now create several managers to work on your affiliate program each with different permission settings. Not everyone accessing your affiliate program should be able to download your complete affiliate database for example, or see personal affiliate information; but they should still be able to do basic tasks such as contacting affiliates or approving pending orders. The “Create Managers” feature is yet another security level to protect your affiliate database and the hard work you put into it. 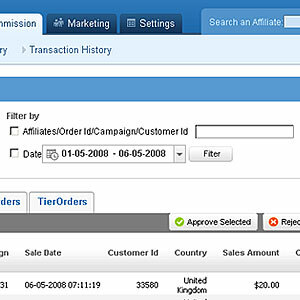 Manually or Automatically Approve Affiliates on a daily tasks displayed on the Dashboard. 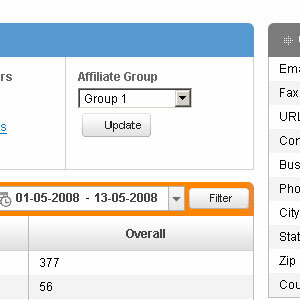 View the actual Geolocation of the signing Affiliates compared with the submitted information. 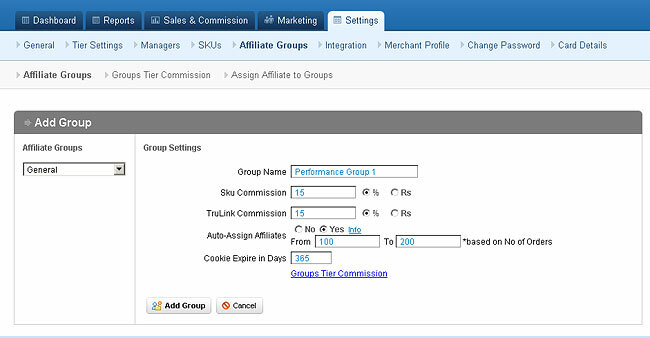 Set a Different Commission (% or fixed amount) for each product. Set an Overall or Individual minimum payout limit. Set your payment schedule by day, week or month and generate the payment report. 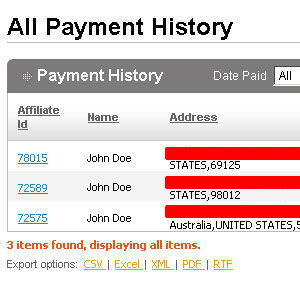 XLS, CSV, XML, PDF, RTF formats supported for easy uploading/downloading affiliate lists, SKU. Unique Tracking Options. Tracking Parameters. 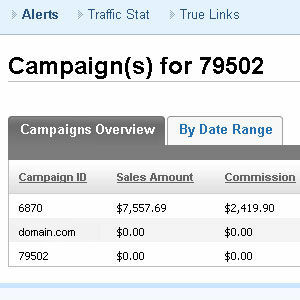 This feature will help the affiliate to track their websites traffic. Optional field in merchant settings , ON will assign the customers re-order commission to the affiliate who brought the first order. OFF – will assign the commission to the affiliate which came along with the order details during the re-orders. 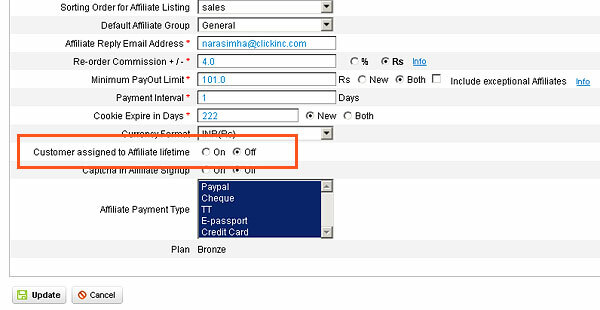 Clickinc will support the subscription/recurring orders. Compare this week’s traffic to the previous one (overall weekly stats), to have a comprehensive overview of who lost/gained traffic, sales, conversions. By looking at a complete week, you eliminate the fluctuation thus giving you a more accurate view than the Day Compare above. 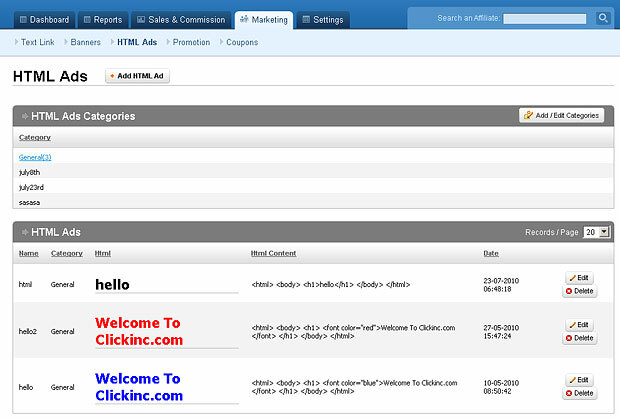 ClickInc has all the features you would expect from leading Affiliate Program Tracking Software and more. The above is a general overview of our main features. Get access to our fully functional Demo by clicking the "DEMO" button above and filling in the Demo Request Form!